It is during the time where the moon satiates the sky when Zuhre’s celestial seeming shines brightly. Her skin glows amidst the night, such like the moon reflecting off the skyglass that adorns the city of Lhavit, and shines like opalite due to her skin’s sheen and pale complexion. 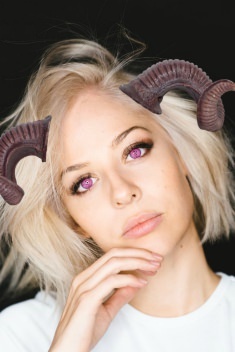 From her iridescent temples sprout horns that resemble much like those of a ram’s. As the seasons transcend their allotted time in the year and blend into new ones, so do her horns. During the summer months, the base of her horns are a deep green, with infusions of teal that give impressions of the sea, but as the horns continue, curling several times in a vertical fashion adjacent to her ears, they slowly become a lighter and lighter shade of green. During autumn, her horns are a soft yellow; during winter they are a stark black with the tips a deep violet, almost too dark to differentiate from the black. As though emerging from hibernation, it is during the spring that her horns shift drastically from their ebony state into the purest of whites. 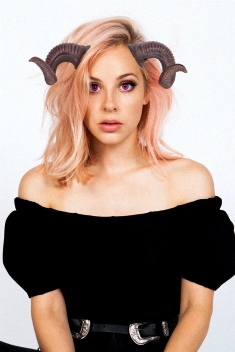 Just as her horns change with the time of year, thus does her hair. In summertime, while her horns are all flavours of green, her hair is a static black. During the fall, her hair is a silky, yet mute colour of gold. Mixtures of red and orange such as during times where the moon seems to reflect the shades of the leaves of the season are found throughout. In wintertime, her hair is a silvery slate, contrasting greatly with her vivid horns. With the transition into springtime, the soft grey gains lavenders and baby blues. As if all attributes have been everything but drab, her irises are a luminous violet with flecks of deeper and softer purples that seem to appear under different lighting. During the daytime, when Leth is no longer holding his reign over the sky and Syna takes hold, Zuhre’s celestial seeming dissipates into her earthbound form. As a Svefra, she no longer has vibrant violet eyes, but instead crystalline blue ones as though a portion of the sea is held in her irises. Her hair loses its shimmer and turns into a dirty blonde. Her hair is braided into tight cornrows on one side as though resembling having one side of her head shaved; dreadlocks make up the rest of her hair as it reaches to her middle back. It is rare to ever find her with dreadlocks. Unlike in her flawless divine form, her tan skin is marred with a multitude of tattoos, many of which have an oceanic tie to them including her “full length sleeve” of an ocean scene. And most importantly of all, she is no longer embellished with her magnificent horns. Regarding either form, Zuhre beholds regal cheekbones that are very prominent when she is caught contemplating, which is often. She has a small, button nose, and full lips imbued with rosy tint. While in her ethereal seeming, she stands at 6 feet 2 inches tall allowing her to appear more goddess-esque, and during the time when the sun is adorning the sky, she is 5 feet 8 inches tall and rather small for a Svefra. Zuhre’s personality differs depending on which form she inhabits. This is greatly influenced not only by the shift in race, but also in the feelings tied to either form. During which the light brightens the sky, Zuhre is fairly boisterous and frequently blunt, sometimes not always to her advantage. She takes on a spunky attitude in addition to an inquisitive nature, always yearning to learn more, and always having an opinion on the matter. Whilst she isn’t entirely outgoing, she is by no means in anyway shy, perhaps just a little introverted. She is always up to trying new things, enriching her palette, and discovering what all life has to offer her. Once the soft glow of the moon enhances the night sky, Zuhre’s personality gradually shifts. Whilst still bestowing her signature contemplation, it is heighted with the presence of the moon. She is less energetic and cheerful and more pensive and somber during this time of day. She feels unnerved about her past and grows wistful during the late hours of which sleep often evades her. In this form, the unknown grows greater than the known as curiosity seeps into the cracks that keep the pieces from connecting to one another. She is soft spoken, and appeals greatly to her emotional side, feeling to desire and need to solve problems, especially when they affect someone or something in a negative way. It is hard for her to trust or even believe other people, because of the lack of knowledge she has since the fall. When it comes to history, Zuhre’s is like a palimpsest; something that has been written, but effaced in order to allow for more writing to take place at a later date. The sky was dark and irate, and consequently was the sea. Thick, dense balls of ice were thrown about by the blistering winds and waves were rolling like had been unleashed after years of being subdued. It was not a ceremonious plunge, though it did represent an important event and it was hardly elegant neither. She came from the sky, seemingly through the clouds, as though there was an entirely different world just passed them. Her eyes were closed, and perhaps she was dreaming, until her professed fragile body connected with the frigid water. It did not feel like a moment of rebirth. It was not as if she was being held inside her mother’s womb, warm and comfy, yet dying to be welcomed into the world by open arms. The water was cold, and bit at her extremities without hesitation. She struggled, desperate to differentiate which direction was up and which was down. Her eyes burned, and soon her lungs burned two fold, yet her struggling seemed to make things worse as she fought for survival. It was during this struggle where her pain grew from more than just the burn of the icy water into an aching pain in her knee, for it had collided with something amidst all the water. She had not fallen deep into the ocean, but into a vast lake off of the city of Ravok. The point from moments after impact to moments after arriving to shore are a blur, and be it luck, she managed to survive the fall. What felt like hours later, a stranger appeared out from amongst the low hanging clouds and pelting rain. Zuhre’s gaze was blurry, and her mind was out of focus when the man came to her aid, offering her his hand, his jacket, everything aside from his own undergarments. To him, Zuhre was just a frail looking girl with ratty hair, and colourfully marked flesh, the only details of her Svefra history that were apparent to either of them. The rest of her history, well, is history. When it comes to her having learned the magic of auristics, her teachings came from a passionate woman named Aberdal with a keen eye for those with shared affinities. Zuhre had no knowledge of Aberdal's relationship with magic, but she did know that befriending this woman was no easy task. It was almost as though she was challenging Zuhre's perseverance when it came to socialization. While the insults and aspersion drained Zuhre of most of her energy, there was some part of her that willed her to continue, some part of her that was explaining to her the necessity of relating to this woman; call it intuition. Aberdal's anonymous past caught up her like the newly risen undead. She had escaped from a misogynistic lover with affection in the form of swinging fists and spiteful words, but he had returned. Ignoring the situation was contrary to Zuhre's caring nature, and even though she had been refuted as a friend many times before, she rose to a position of aid. She offered Aberdal her house when she needed it as well as someone to talk to. As a result of helping her, Aberdal deemed it appropriate to teach Zuhre of the ways of Auristics. "People will try to hide themselves from you," she had said. "when sometimes all they want is to be found. I believe some people should be able to see through others in order to help them." It wasn't long after the lessons and introduction to a new magic, projection, when Aberdal was forced to flee because of the uncomfortable proximity her past was in terms of her. Unfortunately, not much later, Zuhre was altered that Aberdal had passed to a "disease she had contracted during her stay in a neighbouring city." Zuhre used this as motivation to continue her practice with magic in order to help those who needed it most. Last edited by Zuhre on November 15th, 2018, 2:36 am, edited 10 times in total. Last edited by Zuhre on November 15th, 2018, 2:35 am, edited 5 times in total. Fall Income In Process ? 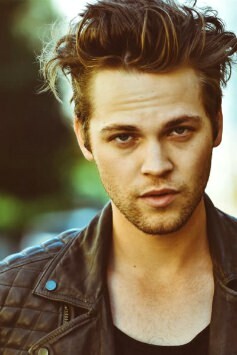 Tallon has somewhat long, sandy blonde hair that is usually either disheveled and hanging into his smokey grey eyes, or gelled halfheartedly back and out of his face. Though, no amount of gel will erase the curls in his hair completely. His face is long, and flawed with a small scar above his lip to which looks slightly like a crescent moon if stared at for just long enough. Ornamental jewelry hangs from his nose in the form of a loop and his left ear is pierced. During any time of day, he is found with a five o’clock shadow, and slightly dark circles under his eyes as though he has been working long bells or never got enough sleep from the previous night. He is rather toned, with pronounced veins on his arms, like the mass of the muscle compartmentalized inside the arm is too much for them. He reaches just past 6 feet tall and weighs approximately 190 pounds. Tallon is a very well-mannered and well-spoken individual whose intelligence in all things reason and logic far outweigh his emotional intelligence. The reason to this is not understood, as he rarely gets too close to any one person. Although he lacks the ability to understand some situations and their association with feelings, he is no stranger to recognizing and understanding pain. Tallon is neither introverted nor extroverted, as he tends to keep to himself about most things, but when he is with those he knows he is capable of letting his guard down a notch or two. Aberdal has short platinum blonde hair with the sides cut short to give her face more of an ovular shape. 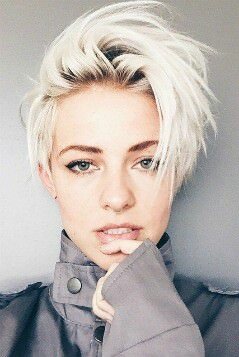 While the platinum blonde is not her original, birth hair colour, her re-growth is an apparent light brown that extends just under an inch from her scalp. Ornamental jewelry hangs from her septum in the form of a loop in order to demonstrate her ferocity and inability to be "tamed". Her eyes are a soft blue with small flecks of brown within them that are only truly visible during dusk, when the sunlight is at its perfect height before lowering itself down below the mountain range. Her legs and abdomen are incredibly muscular as though from long hours of training. She stands at 5'11, quite tall for human women, and weighs approximately 160 pounds due to her muscular composition. Aberdal is in all sense of the word, a tomboy. And she allows no one to think otherwise. Her voice is gruff, and gravelly like several years of her life were spent smoking; her outward attitude is adventurous and fearless while also somewhat arrogant, yet inwardly she is fearful of one thing and one thing only: her history. Aberdal loves to test people for their limitations on just about anything, but while annoying, it is also purposeful by her perspective. She always has to be doing something in order to curb her boredom and is always trying to see if other people are willing to put up with her chaotic self. Last edited by Zuhre on December 2nd, 2018, 2:41 am, edited 7 times in total.